We use luxury high-end materials and superior craftsmanship on all our custom outdoor kitchen projects. When planning your outdoor kitchen designs only the best is good enough for our clients. 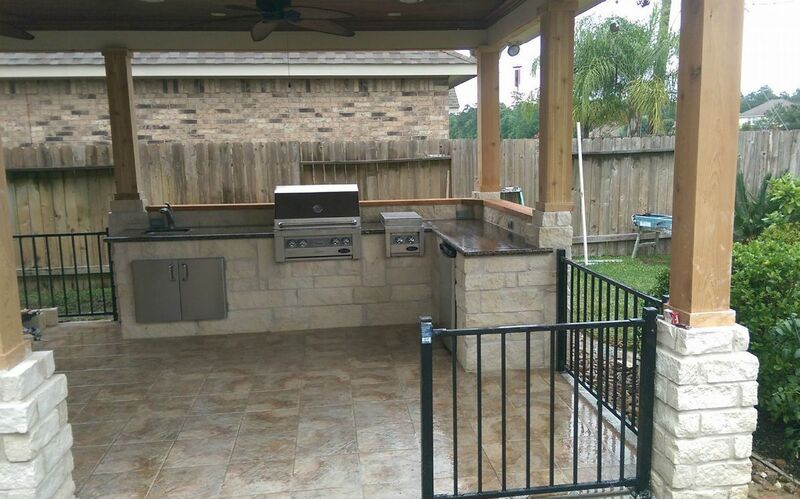 Houston Outdoor Kitchen Pros is the top Houston contractor to custom build your new outdoor kitchen. We will help you design and choose quality materials to match the aesthetic of your home. Beauty and function is 100 percent guaranteed for every custom designed outdoor space.